Home News Two New Harry Potter Vynl Sets Coming Soon! Funko has released previews of their upcoming Harry Potter releases. Among the previews are two new Vynl sets. The regular set is currently available for pre-order and should be available in June. 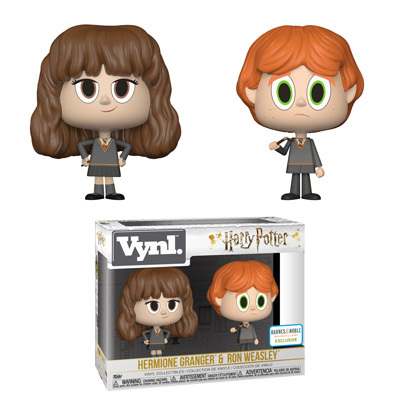 The Barnes and Noble Exclusive Vynl set will also be released in June and features different versions of Ron Hermoine. Previous articleNew Target Exclusive Black Panther Pop! Vinyl and Tee Set Now Available! Next articleNew Harry Potter Mystery Minis to be released in June!